In Arizona, we usually only have to worry about pesky birds in our lawn when we lay down the winter rye. After winter, we found that our dormant Bermuda grass was coming in great in some areas but there were still a few large bare patches in the yard. After adjusting and replacing sprinkler heads and watering times, we laid down some gypsum, grass seed, and top soil with fertilizer in the bare spots. And then the birds came! Jacob did some research and found that birds don’t like shiny moving things, so I went to the 99 Cent Store and bought a few pinwheels that are made with a foil-like paper to put in the yard. These work great! 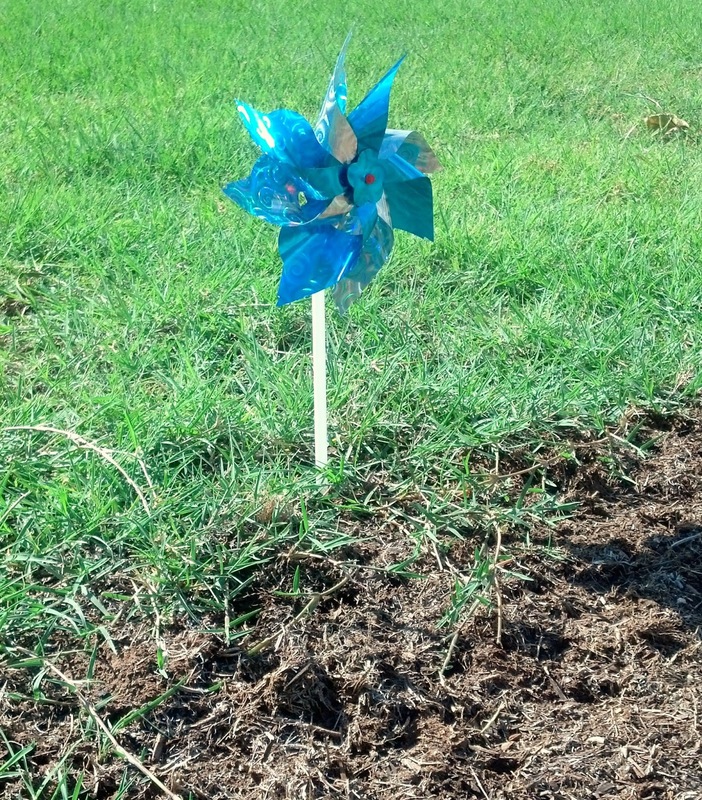 We placed the pinwheels nearest to the spots with seed that the birds are attracted to, and so far, no birds!